Brain disorder. 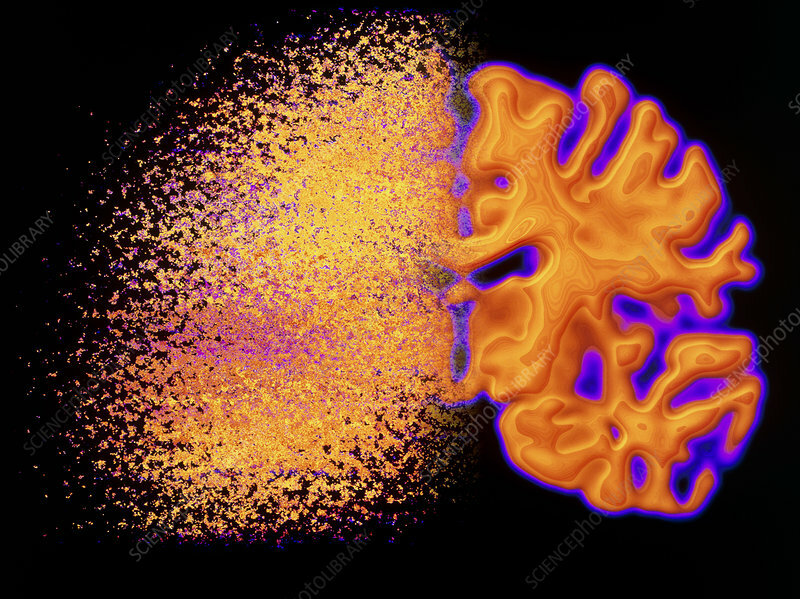 Conceptual computer illustration of a brain disorder depicted as a half-shattered scan of a human brain. Destruction of brain tissue occurs in Parkinson's disease, new variant Creutzfeldt-Jakob disease (nvCJD) and forms of dementia such as Alzheimer's disease. This is a coloured computed tomography (CT) brain scan.